Are you one of the millions of people who forget to take their medication? You are not alone. 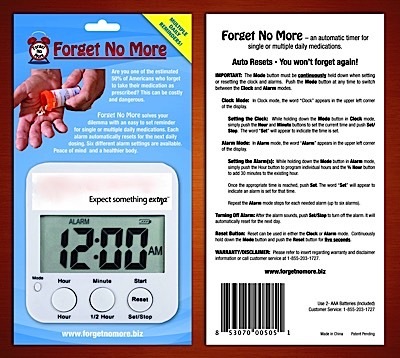 The makers of the Forget No More medication timer have the perfect solution! My reaction… Wow! I know that I personally have experienced some of the above issues so that means I am included as part of these statistics. I have a smart phone so why can’t I just use an app to remind me to take my medications? Good question! Believe it or not there are still people who do not have smart phones. If they happen to have a feature phone that has an alarm, they have no idea how to use it. Even those who have smart phones may not know how to set scheduled alarms. Remembering to take medications is a huge problem, as we have just seen in those statistics. This timer is basically goof proof. Whether you have an aging parent whose memory is challenged, or you have an active child who forgets to stop long enough to take their medication, or perhaps you need a little assistance in remembering to take your own medication, whatever the issue is with you or your loved one this timer is just what the doctor ordered. 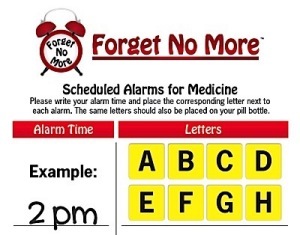 Forget No More is an easy low-cost solution to forgetting to take daily medications. This timer will not only help you or your loved one remember to take medication it can assist you in remembering other important items from your To Do list. Do your children or grandchildren always remember to brush their teeth? Brushing their teeth is critical in combating childhood tooth decay. This timer will go off and continue to sound until it is silenced. The timer will arrive labeled with the appropriate tooth design so your children will find it a welcome reminder system. Forget No More can be ordered online at www.Forgetnomore.biz at their launch Summer 2015; or by calling toll-free 855-203-1727 now to get yours before the official launch. This timer will make a great gift for you or a loved one. Order now for early bird discounts! Thx for this recommendation, Cheryl! My hubby doesn't use the computer or a cell phone and so I often worry when I'm away that he won't remember to take his meds. I got him one of those day-to-day pill cases, but I know that he has a tendency to forget the evening pills when I'm not here to remind him. I will check out the FNM timer! Thanks for your possible interest in this. 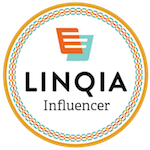 We are looking for feedback. Agreed. A good product that could help save a life. It's a great idea for people who don't have /know how to use a smart phone's timer. Daily meds are very easy to lose track of. There are many people who still have feature phones. This makes a great companion tool for them. I find it interesting the number of people with smart phones that do not utilize them in this way. Hi Cheryl, well I’m definitely one of those people addicted to my smartphones and ipad so i have plenty of ways to remind myself if all the things i need to remember. But for those who don’t have them or don’t know how to use them i think this is a great option. Especially if it can help with something as important as remembering to take Medication. Agreed. This timer makes a great tool for many who do not utilize a smart phone. 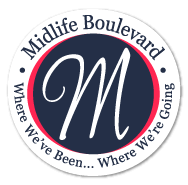 Cheryl, both my husband and I could use one – I need to take meds in the morning and often forget until after lunch, not good and my husband often forgets his afternoon ones completely. So this would be wonderful. Maybe you could write a post about the launch so we would all be reminded. This is a good product and could save life. This is BECAUSE the cost of drugs is so darn ridiculous! Geez don't get me going on this one. I am going to check out the Forget No More reminder for my dad's consideration.